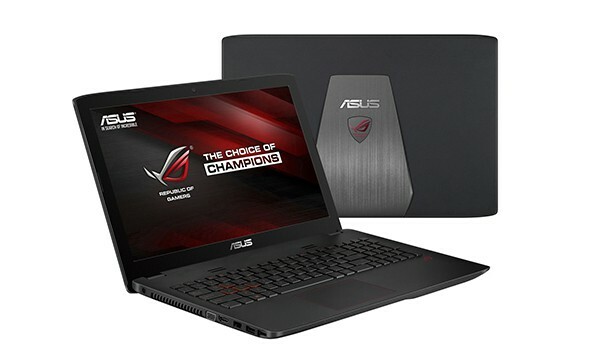 ASUS launched its flagship ROG GL552JX, a gaming device encasing macular hardware in a very stylish and high performance package with 4GB video memory. Endowed with the F22 Stealth Fighter inspired gamer centric design, the laptop is geared for high performance with its Quad core Intel core i7 processor, NVidia GTX 950M 4GB graphics, stunning Full HD Antiglare IPS display, an immersive audio experience with Asus SonicMaster Premium and AudioWizard powered by ICEpower Technology. Emphasizing the importance of online gaming in India, it comes with the new Gamefirst III technology which will eliminate the possible lags thus providing an enriching gaming experience. What sets the cutting-edge gaming laptop on a higher pedestal is its GeForce GTX 950M 4GB video memory which makes way for better graphics. GeForce GTX 950M delivers great gaming performance at 1080p with inspired GameWorks technologies for fluid, life-like visuals. With GeForce Experience for quick gaming optimization, and BatteryBoost for improved battery life you can game longer, unplugged. A specially designed gaming grade red backlit keyboard and Easy Upgrade Access for Memory and storage complete the offering. The unique features involve the excellence of SonicMaster and AudioWizard. The exclusive SonicMaster gives it crystal clear high-fidelity audio. It is accompanied by ROG AudioWizard powered by ICEpower Technology that serves up to five presets tailor-made for popular game genres to engage gamers like never before. The gaming machine allows users to frag fast and frag first which makes it a super-hit amongst gamers. Enabled with GameFirst III technology, it prioritises the flow of game data across networks, which renders gaming smoother and banishes lag. It comes with 1TB 7200 rpm 2.5’ HDD of hard drive storage so that you can store and enjoy speed in abundance. Indulge in stunning visuals with the 15.6 inch Full HD IPS panel with its (178degree viewing angle) glare resistant display which is distraction-free. It has an upgradable dedicate Memory door on the bottom side for instant and easy upgrades. Enhanced by its illuminated yet low profile, specially designed keyboard that delivers perfect and quick response, the ROG GL552JX is ready to play!